Craven Selected as Administrative Law Judge - Harrison White, P.C. 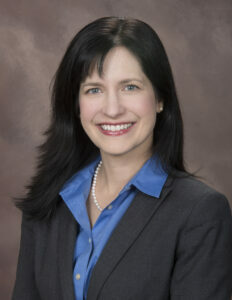 (Spartanburg, S.C./October 14, 2016) Harrison, White, Smith & Coggins, P.C., today announced that attorney Amanda Helms Craven has been selected to serve as an administrative law judge for the Social Security Administration in the Office of Disability Adjudication and Review (ODAR) in Columbia, S.C.
After receiving a Bachelor of Science from Furman University and a J.D. with honors from Florida State University College of Law, Craven practiced in a Greenville law firm where her work increasingly focused on disability cases and workers’ compensation claims. She joined Harrison, White, Smith & Coggins in 2005 and has continued to concentrate her practice in those areas. Craven also serves the South Carolina Association for Justice and the Injured Workers Advocates, and was named a Rising Star by Super Lawyers for the past two years. « What do our clients say about attorney Allison Dunham? She is prepared & confident.